The Form Gallery, Issue #068 - "Church Secretary Qualifications and Duties"
Wow, Christmas is almost here and if we blink it's going to be gone! I pray each and every one of you have the Best and Most Blessed Christmas Ever! I have included Church Secretary Qualifications and Duties to this issue to help us better understand what is basic to know and what is crucial to know as a secretary along with free Church Secretary Resumes and Cover Letter Samples. I also have reminders of Annual Contribution Letter deadline and essentials included in these letters. There is also great information and links to direct bookkeeping and accounting support for churches along with free 2014 Calendars, Christmas Bible Verses, Meeting Sign-In Sheets and Much More. Shepherdbase - Are you finding yourself overwhelmed in the office? Shepherdbase will save you a lot of time in your church office. Shepherdbase - Church Membership Database will track memberships (unlimited), contributions, attendance and much more On Sale Right Now Through December 31, 2013 for ONLY $29.99 so Hurry & Enjoy these Savings! 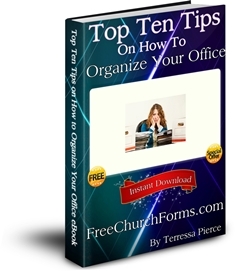 If you are a Church Secretary then you are an essential element in the smooth functioning of a church, and most often you are a member of the church. You typically run the church office, handle the administrative responsibilities and provide a wide range of support to the Pastor(s) and his staff. You are most often the first person visitors and newcomers see when they come to your church either by person, phone, email, etc. so you are an important part of your church's public image and outreach. What are the basic level of skills required to be a secretary? Basic Office Skills like high school graduates have can qualify you for entry level secretarial positions. However, employers are increasingly requiring extensive knowledge of software applications such as MS (Microsoft) Word or word processing, MS Excel or spreadsheets and MS Access or database management. Proficient in Keyboarding is required and having good skills in spelling, punctuation, grammar and oral communication. Strong Word Processing Skills with Computer Knowledge with programs such as Microsoft Office Word, Excel, Access, Outlook, PowerPoint, Publisher and more. Office Equipment (Copier, Etc.) Skills - Secretaries and administrative assistants have to be adaptable to the continuing changes in the office environment and be willing to retrain with continuing education. Be aware that you might have to attend some classes or participate in some online education to learn how to operate new office technologies such as information storage systems, scanners, internet, or new updated software packages. This education can also assist you in maintaining and selecting office equipment to help your office run smoothly. Perform a Wide Range of Office-Related Duties such as effectively ordering supplies, managing church schedule, maintaining files, handling church coorespondence, as well as scheduling maintenance personnel and deliveries. 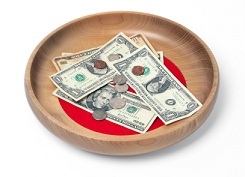 In a smaller church you might even have to help with bookkeeping and accounting duties. Always Smile because it goes a long way. I don't know about you but if I visit a church the last thing I want to do is come up to a stranger, especially the Church Secretary, and not even get a smile. Positive Attitude can go a long way in accomplishing your work as a church secretary. Remind yourself most things are possible if you try hard enough so set your goals and work hard to reach them. Negativity will get you no where quick. Excellent Communication Skills is a mechanism used to establish and modify relationships and without it your office will be unproductive. This communication is best face to face but can be conveyed in many other ways (email, phone, etc.). Always make eye contact when communicating face to face because this conveys interest and encourages your listener to be interested in you in return, but be a good listener also. Staff Support includes many duties. Similar to a corporate secretary, the Church Secretary takes care of the administrative and support requirements of the Pastor(s), Assistant Pastor(s) and other church staff members. Example of these requirements would be handling phone calls and messages, assisting them correspondence and scheduling issues, taking minutes at church meetings, assisting senior staff to advertise and fill staff vacancies. Discretion is the quality of behaving or speaking in such a way as to avoid causing offense or revealing private information. The Church Secretary is responsible for dealing with frequently personal information about the church and community members. Empathy and discretion is a must since he or she is often privy to congregation members' marital, financial or health concerns. Strong Problem-Solving Abilities is a key quality for a church secretary because the truth is the secretary is the glue that holds the office together most of the time and being able to solve problems before or after the problem keeps the office running smoothly. Excellent Interpersonal Skills and Customer Service skills are what most employers look for in secretaries and administrative assistants because they must be tactful in their dealings with people. I've been a secretary both in our church and throughout my hospital career for the last 33+ years so I have definitely lived and learned. I have always enjoyed creating forms, flyers, certificates and learning more ways to save time in the office and help organize me and my coworkers. Nothing makes your coworkers happier than for you to create a way to save some of their time throughout their day, and most of all to give them an organized office that runs smoothly without confusion. So take it from someone who has been a secretary for a long time, always be eager for new skills and take time to learn these time-saving new office technologies. I have a new sample of a Church Secretary Resume and Cover Letter available for free to download, customize and print - click the link below to access. Send your Annual Contribution Letters out by January 31, 2014 as this is the deadline to have them mailed out. Include the IRS Statement into your Annual Contribution Letter to stay in compliance. A statement explaining whether the charity provided any goods or services to the donor for the contribution. If no goods or services were provided, you would include similar wording such as: "You did not receive any goods or services in return for any of these contributions other than intangible religious benefits. You made these gifts out of your own generosity and commitment to Jesus Christ." Include Essentials Into Annual Contribution Letter which includes Church Name, Address, Phone, Donor's Name and Address, Donation Year and Date, Donation Amount, and be sure to include Signature. Attach IRS Contribution Statement with Your Letters for Donors Who Gave a Single Contribution of $250.00 or More (IRS Publication 1771). IRS states "A donor cannot claim a tax deduction for any single contribution of $250.00 or more unless the donor obtains a contemporaneous, written acknowledgement of the contribution from the recipient organization. These receipts are included in Shepherdbase (Church Membership Database) that you can easily print after you merge your member's total contributions into the Annual Contribution Letters. Shepherdbase is on sale from now through the end of the year so if you haven't yet took advantage of the benefits of Shepherdbase (Church Membership Database) to help make your life easier, especially at the end of each year when you have to send all these letters out then you need to check it out now - just click link below. Shepherdbase will track your church member's contributions throughout the year and much more and then after December 31, 2013 it takes just a couple of minutes to have all your letters ready to go! Does your church need direct bookkeeping and accounting support from someone they can trust? If yes, then today is your blessed day and you need to read below. Vickey at FreeChurchAccounting.com will be partnering with Wisdom Over Wealth in directly supporting churches in their accounting and reporting requirements starting in January 2014. One of the services she will be involved with is the "Back Office Accounting" where she will have the honor of directly working with you in your church's bookkeeping duties. Now if you don't know Vickey all I can say is I trust her with my Pastor(s) accounting needs everyday and she is awesome. Bill O'Connell is the founder of Wisdom Over Wealth. It is a CPA Ministry that provides accounting, bookkeeping, tax and financial counseling to ministries and individuals. Wisdom services clients across the United States using cloud technology to keep costs low, and effectiveness high. 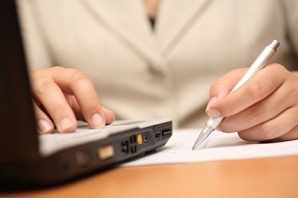 Click Here for More Information on Direct Bookkeeping and Accounting Support. Christmas Bible Verses for Cards, Etc. Shepherdbase (Church Membership Database) is On Sale Right Now Through December 31, 2013 for ONLY $29.99. You will also receive 2 Offering Envelope Templates and Offering Count Sheet free as a Bonus for purchasing Shepherdbase! Hurry and Enjoy these Savings! If you purchased Shepherdbase before Sept. 2011 and would like to receive the latest new updated version of "Shepherdbase" free of charge contact me. This great CD has all the free church forms, certificates, brochures, flyers...(600+) on FreeChurchForms.com along with 4 Bonuses as a Thank You for purchasing the CD all for one special price of $13.99 plus shipping and handling ($7.00 in the U.S. or $27.00 outside the U.S.). Free church forms, certificates, flyers...(600+ forms each in PDF and Microsoft Office Word 2007 or higher version format - some in Excel). Also continually updated to include the latest forms created. Have a Blessed & Merry Christmas!